A utilization of Certified Materials all the way from Germany specifically made to suite the special climate of Arabian Gulf Region. 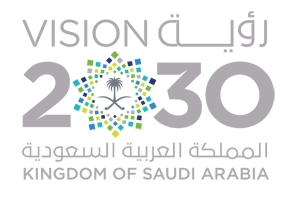 Our passion to offer the Best Price and Quality for our fellow Saudi Arabians. Strong production capabilities, manpower and resource availability, all designated to enable smooth fabrication and processing of uPVC windows and doors at one of the largest production areas in Jeddah. Superior energy efficiency performance that suits your projects and respects Saudi Arabian code of construction requirements. Genuine German Quality. Thanks to our long-standing partnership with Germany’s most prominent manufacturing companies. Premium uPVC is customized to suit the Saudi Arabian market with long-term product guarantees. PVC-U material mix is globally certified, specificallydeveloped, and proficiently assembled to suit Gulf & Saudi Arabian special climate. 100% Dedication through utilization of our resources &our technical partners’ expertise in the unique windows & doors fabrication. Your Project is uniquely accomplished in terms of process, assemblage, handling, and definitely superior globally certified quality of uPVC profile. Highly skilled team of most qualified technicians to fit your very standards. Exceptionally trained with the latest of techniques at VEKA’s headquarters in Germany as well as our factory premises. Utmost honesty& transparency, as we are continuously looking forward to build long-term relationships based on mutual trust with you. On Time Delivery. Promptness and Ultimate Respect of Time are Key to our Business. 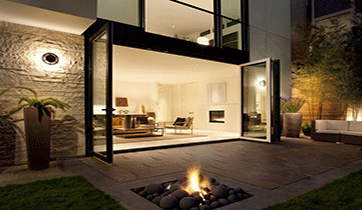 Enjoy a Greater Choice of Fabulous Designs and a Wide Range of Exquisite Colors from uPVC Windows & Doors. 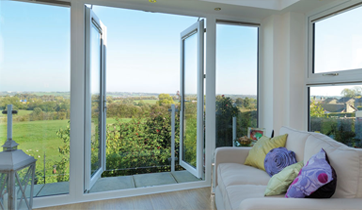 How uPVC windows benefit your home? Superior energy efficiency for better economy and greener environment. An efficient performance that greatly suit all architectural projects while unifying with modern codes of construction requirements. Proven to reduce external noise and blast by up to 80%! Not only providing the best energy and sound insulation, but also it provides complete insulating from dust, water, humidity, and heat. Durable and extremely tough. Never, flake, rust or fade under any adverse pressure or special climatic conditions such as in coastal or arid areas…uPVC is uniquely tough. Highly thermal resistant and rot resistant,specifications that protect from corrosion and that add abarricadeof protection betweenthe blistering weather of the outside and the comfort inside of your home or workplace. Low maintenance and low fuss; no need for any re-painting or sealing. Always as brand new, with little bit of cleaning… just quick wipe with soapy water and there you go. 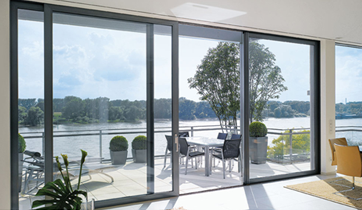 uPVC frames are constructed to the highest degree of firmness and safety. With its 1.5mm Galvanized steel reinforcement, they are definitely difficult to breakdown or damage, always the strongest and the safest. uPVC stands out as the best product for specific aesthetic and frame design details, and would make the best choice given its smart handling, distinguished flexibility, and absolutely its ease of operations. Endlessly as brand new as the time they were assembled. 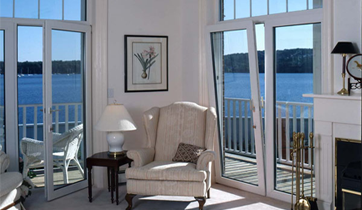 The lifetime of uPVC windows is boundless when compared to that of an aluminum window. uPVC is highly fireproof since it contains chlorine. Once on fire uPVC windows are self-extinguishing and this extremely adds to them having the edge of a competitive advantage.